BANFF, Alta. 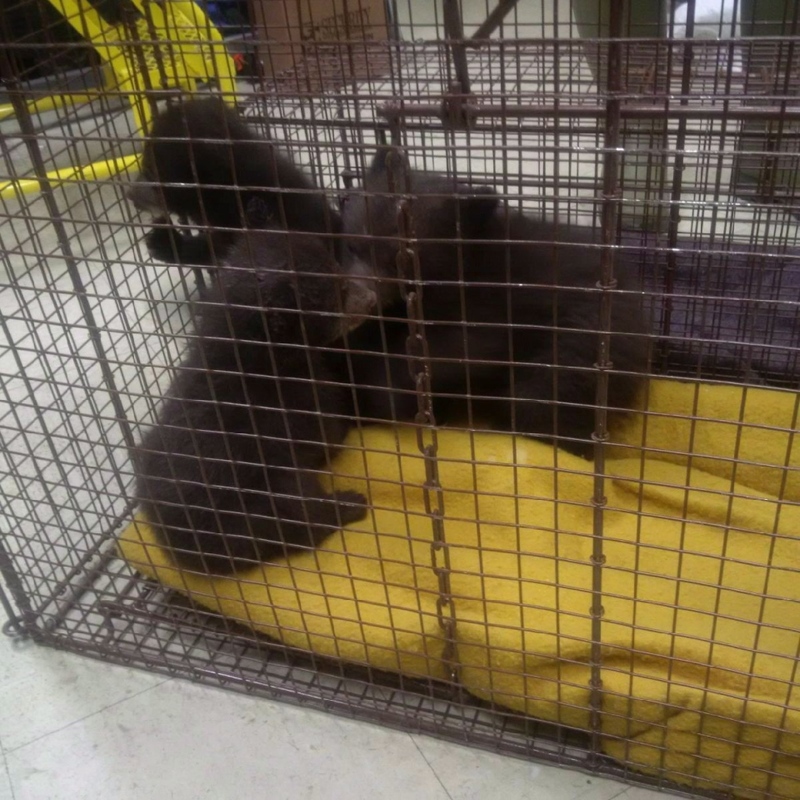 -- Three cubs found abandoned in a washroom along the Trans-Canada Highway in Banff National Park have been returned to the area. The black bears, now yearlings, were sent to the Aspen Valley Wildlife Sanctuary in Ontario last April. Officials with Parks Canada said the three sisters were released in the backcountry on Tuesday. 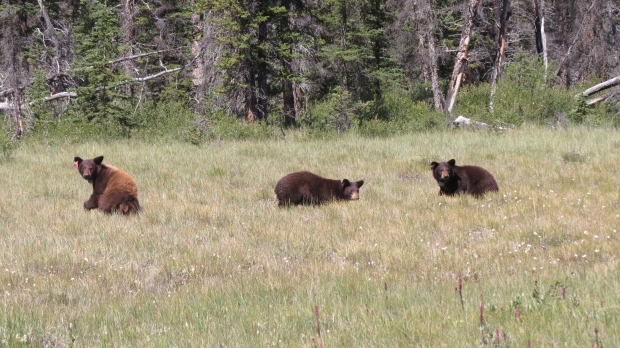 "The bears were in excellent condition," said Bill Hunt, manager of resource conservation with Banff National Park. The bears have grown to about 50 kilograms from the mere three kilograms they weighed when they first went to the wildlife sanctuary. Officials there said the cubs were initially fed formula with a bottle before contact with humans was limited. "One of the most important aspects was to try to maintain minimal contact to allow for a successful transition back in the wild," said Howard Smith, the sanctuary's managing director. "We cared for them initially as they were very young. "Once they transitioned to a more solid food, we moved them into larger accommodations." They were kept in a larger enclosure at the facility in the Muskoka area, he said. Parks Canada said that one of its wildlife workers flew out to Ontario earlier this week to pick up the bears. The animals were transported in three separate crates by vehicle to Toronto before being flown early Tuesday morning to Calgary, where they hit the road for the Rocky Mountains in a horse trailer. The bears were then slung in a crate under a helicopter into an unidentified location in the Banff backcountry. "As soon as the doors opened, the bears stepped out, had a look around and actually began foraging on some nearby vegetation," said Hunt. 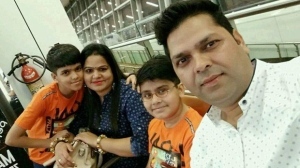 "They looked happy and healthy in their new environment." It's still unknown how the bears ended up in the roadside bathroom last year. "We certainly believe they had some help from a person or persons," said Hunt. "We would really encourage anyone who knows anything more about that to please contact us. We would like to resolve that." The bears were sent to Ontario because no Alberta facilities were permitted to take them at the time. The province lifted the ban on private rehabilitation of orphaned cubs in April. Under Alberta's new protocol, the bears must be fitted with monitoring devices and tracked by scientists to make sure the animals reintegrate into the wild. Hunt said the bears have GPS collars and ear tags, but he noted that survival of young bears in the wild isn't always great without their mothers. "We've done everything we can to set them up for success."